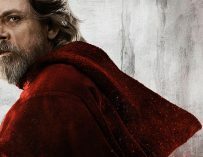 Mark Hamill has been discussing whether or not Luke Skywalker would be leaning towards the Dark Side of the Force in Star Wars: The Last Jedi. 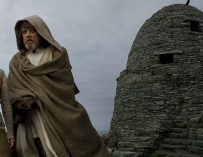 Ever since we saw the very first teaser for Star Wars: The Last Jedi people have been wondering whether Luke Skywalker has turned to the Dark Side of the Force. 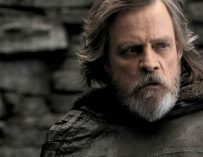 The main reason behind this is Luke’s line at the end of the first teaser, “It’s time for the Jedi to end.” This line is a pretty big deal when it comes to Star Wars, and the fact that it comes from Luke’s mouth is very exciting indeed. 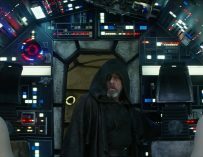 So this has spawned millions of articles begging the question, “Has Luke Skywalker turned to the Dark Side?” I’ve even been guilty of writing such an article, although I concluded that we wouldn’t see this happening in The Last Jedi, mainly because it would go against everything that Luke stands for. I really like the idea of seeing what Hamill delivers in this movie. It sounds like director Rian Johnson really pushed him in this movie and we’ll be getting to see a very different Luke in The Last Jedi. Hamill’s demonstrated what a fantastic actor he is over the years, yet the Star Wars franchise never really did him justice. Hamill’s voice performances as The Joker and Skips in Regular Show have shown what an impressive range the actor has. Yet, his best performances have been as a voice actor. It’s about time we get to see him really flex his acting muscles in a Star Wars movie. It looks like The Last Jedi will offer him that opportunity. You may also like our articles on The Last of Us 2, Justice League, Thor: Ragnarok, Star Wars: The Last Jedi, The Disaster Artist, Black Panther, The New Mutants, Venom, Deadpool 2, Deathstroke, Avengers: Infinity War, Bright, Ghost Stories, Solo: A Star Wars Story, The Predator, Shazam! and much, much more. Also, make sure you check out our SPOILER-FREE review of Thor: Ragnarok. Star Wars: The Last Jedi will be in UK cinemas on December 14th. Have you bought your tickets yet?